Many Christians never learn the importance of a close intimacy with the Holy Spirit. In these last days of apostasy in the Church, many attend Sunday morning service as if it is an item on their weekly shopping list. However if you want to see a manifestation of God through his Holy Spirit, it can be achieved today. Miracles and communication with God can happen every day if your walk with the Lord is on an intimate level. Direct interaction with God through his Holy Spirit is only practiced today by a small groups of Christians who still understand the concept of receiving the Holy Spirit. When we soak in God’s presence, we are in a place of rest where we wait on Him. The scripture tells us that when we are still, and meditate in God’s presence, there will come a knowing or experiencing of God. Do not confuse this waiting to be filled with the Holy Spirit with any New Age Middle Eastern Meditation. New Age Kundalini Yoga followers believe there is a coiled snake in their lower chakra. The snake can be stimulated to strike their third eye chakra, which allows them to experience some supernatural visions. Being filled with the Holy Spirit is not the same as being filled with a snake spirit. Most people who practice soaking or waiting on the Holy Spirit create an environment that blocks out the outside world. A quiet room or even a garden tub in the bath. 1st Corinthians12:7 But the manifestation of the Spirit is given to every man to profit withal. 8For to one is given by the Spirit the word of wisdom; to another the word of knowledge by the same Spirit; 9To another faith by the same Spirit; to another the gifts of healing by the same Spirit; 10To another the working of miracles; to another prophecy; to another discerning of spirits; to another divers kinds of tongues; to another the interpretation of tongues: 11But all these worketh that one and the selfsame Spirit, dividing to every man severally as he will. If you worship with a group or church that does not believe in the Gifts of the Holy Spirit, you will not see a manifestation of them. Be quiet and still and you will begin to hear His voice as thoughts in your head. Many times, you may have visions and supernatural experiences. The key is learning to wait in solitude. It helps some to introduce instrumental music such as harps or stringed instruments. However the music must not distract your thoughts from receiving the Holy Spirit. 1st John 5:14 And this is the confidence that we have in him, that, if we ask any thing according to his will, he heareth us: 15And if we know that he hear us, whatsoever we ask, we know that we have the petitions that we desired of him. Matthew 6:7 But when ye pray, use not vain repetitions, as the heathen do: for they think that they shall be heard for their much speaking. 8Be not ye therefore like unto them: for your Father knoweth what things ye have need of, before ye ask him. 1st Thessalonians 5:16 Rejoice evermore. 17Pray without ceasing. 18In every thing give thanks: for this is the will of God in Christ Jesus concerning you. 19Quench not the Spirit. 20Despise not prophesyings. Acts 2:17 And it shall come to pass in the last days, saith God, I will pour out of my Spirit upon all flesh: and your sons and your daughters shall prophesy, and your young men shall see visions, and your old men shall dream dreams: 18And on my servants and on my handmaidens I will pour out in those days of my Spirit; and they shall prophesy: 19And I will shew wonders in heaven above, and signs in the earth beneath; blood, and fire, and vapour of smoke: 20The sun shall be turned into darkness, and the moon into blood, before that great and notable day of the Lord come: 21And it shall come to pass, that whosoever shall call on the name of the Lord shall be saved. The purpose of fasting is to take our eyes off the things of this world and instead focus on God. Fasting is a way to demonstrate to God and to ourselves that we are serious about our relationship with Him. Specifically, we humbly deny something of the flesh to glorify God. Matthew 6:16 Moreover when ye fast, be not, as the hypocrites, of a sad countenance: for they disfigure their faces, that they may appear unto men to fast. Verily I say unto you, They have their reward. 17But thou, when thou fastest, anoint thine head, and wash thy face; 18That thou appear not unto men to fast, but unto thy Father which is in secret: and thy Father, which seeth in secret, shall reward thee openly. Mark 9:28 And when he was come into the house, his disciples asked him privately, Why could not we cast him out? 29And he said unto them, This kind can come forth by nothing, but by prayer and fasting. Daniel 10:2 In those days I Daniel was mourning three full weeks. 3I ate no pleasant bread, neither came flesh nor wine in my mouth, neither did I anoint myself at all, till three whole weeks were fulfilled. Daniel was not going completely without food and water, but denying himself bread, meat and wine. Many people long to experience the supernatural. An intimate relationship with God and the receiving of the Holy Spirit will open your eyes to miracles and understanding of prophecy. You may receive the gift of healing. When you read the scriptures, people of other languages may be able to hear you in their native tongue. In this season of the End Times, understanding prophecy will allow you to warn the people and show them the events that are soon to come. Thank you for this!I can’t believe no one has commented-God bless you! And I pray that you practice what you preach so that if we do not meet here in the world,that I will see you in heaven residing in the same place as our heavenly Father,and His angels.Amen,God bless again! I want to go deeper with God. I want to hear Him. I crave more understanding, depth and intimacy. I have a friend who is Soaking in the Holy Spirit. God clearly talks to him, gives him visions and conformations. He has what you are speaking of. I want this too! I believe most Church’s are not teaching the deep truths. Thank you for teaching this. “…your daughters shall prophesy, old men dream dreams and young men see visions…” Why not me? Why not you? God said it. He will do it. God shall see you through this troublesome time just be patient I feel as if I betrayed him yesterday I crossed my fingers while that prayer went and I repented and I shall wait on the to answer my prayer pray for forgiveness and understanding of what it means to do go through these things in life he has something greater for you in store just wait on him in meditation. Mathew 6:7 and 1 Thessellonians 5:16 seem to be contradicting each other, would love if you can explain because Mathew seem to advocate for a short prayer whilst Thessollonians seems to advocate for longer prayer. I have also heard some1 saying that I must PUSH, Pray Untill Something Happen. When I fast, I fast food during the day and only drink water the whole day and brake my fast at nite. Do you think this is the right way of fasting? This is a beautiful article. Thank you for this. thank u very much, i was in some kind of worry but after reading this, am ready to go. thanks again may God bless u abundantly amen. Thank you for taking the time to pour in to God’s children… We need so much more of this. 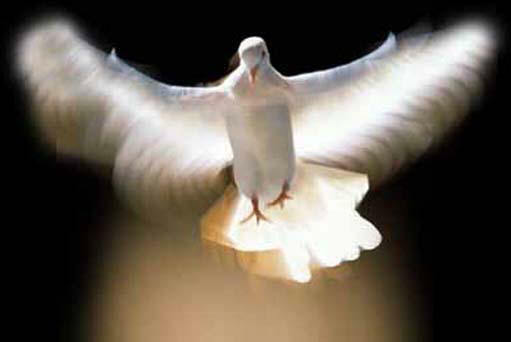 I am seeking the Holy Spirit daily. intimacy with God is Scriptual and nessesary to be strong, recieve wisdom and healing. May God bless you and continue to bring Him glory by using you as a light unto the nations to prophecy and proclaim His truth! This has taught me a lot have always wanted to get very intimate with GOD..Thank you so much and may the God bless you more and increase you. Thank you! God Bless you and may all that read this find the holy spirits baptism. This information is right on time! Thank you so much. May our Lord and Savior bless you with much favor! I have been praying and fasting alone, with my Church and this time I have asked my husband to join me. I am failing to understand whether God is answering me because I usually have faith that God will answer my prayers but I have remained in the same situation for over a year now. What am I supposed to do next. Galatians5:6 faith works through love my dear,please read that. I would like to do a different way of fasting. In the pass I have place my self on a fast and did as others have done, just pull a type of fast out of my head.
. I need new directions in this New year for fasting. I want the Holy spirit to lead me in a fast or put his fast for me on my heart ❤. I am tired 😫 of doing things my way. God ways not mine. The fast is just denying yourself of something you enjoy. Denying meat and wine was what Daniel did. When you focus on what you would deny yourself of, pray about it and if God presents something else such as sweets, bread or chocolate, deny yourself those things. In a situation which is critical, a short fast of no food for a day is a more heart felt response to God than just things you can live without like sweets. Humbling yourself before God is the purpose. Your not trying to damage yourself. Jesus loves you. Whatever you ask in his name, that is in the plan of God, you will be given. I am blessed by this, God bless you and your ministry, Amen. I have been asking God to fill me with the Holy spirit for some time now and this article brings more of a depth of instruction of how I can have a more intimate relationship with God through Jesus Christ. I was goung to a church that believes in this and I am going to return to the house of the Lord because I need healing deliverance and salvation so PRAY for me during this difficult time and again thank you for sharing God’s word with us believers that are striving to live for God. Hi, I have been praying and waiting on the gift of the Holy Spirit goal a few months now.Please pray that God fill me with the Holy Spirit. I am so desperate for it and praying God will give it to me soon. This is such a beautiful piece. I yearn for this sort of intimacy, I just keep falling short when I am so close. Please admin, I’d also like to copy this text and put in a pdf file to share if that’s okay? Thank you. Just retain the site How Long O Lord and HowLongOLord.com as the source somewhere in the document. Alright sir. Thank You very much> I’ll do that. Next week is my US Visa Interview And Some Of The Things On The Paper Is Not Correct & I am Going To Go On Fasting From Now Till Next Week When Its Interview Time , I Know God Is Gonna Give Me A Big Breakthrough , I Know There’s Nothing Like My Lord Jesus Christ … I Just Need The Visa To Better My self & Help My Mother & Father & Brothers & Sisters Because My Parents Don’t Have It Like Some Parents .. But In Jesus Name I Will Receive My Visa With Ease …. Thank you so much. I am so blessed by your article. May the Lord increase and multiple you. Be blessed in every area of your life in Jesus name amen. I like the message God bless you receive increase of anointing from God thank you very much for allowing your self to be by God Jesus Christ. May the Lord elevate the hands of thine works. Thank You so much. I received gift of healings, deliverance power even on phone prayer many demons manifest healings takes place a lot. Glory be to the Lord. But in this I am not satisfied at all bcz I am yet to move in prophecy. Amazing part is that I have imparted people who prophesied immediately, accurately. Yet I can’t prophesy. I know the Lord is dealing with me to fast so I can move in prophecy.. I cry to the Lord for not letting me prophesy . My gift of healings deliverance and working of miracles is a pain to me without the Holy Spirit giving me gift of prophecy.. Even through the prophecy I received through many I imparted and other men of God, they said I am a great prophet of God, yet I can’t prophesy .. Thank You for this article, I am rising up! Admin,Since 2009,I have been feeling the anointing all over my body after I had babtizim of the Spirit,with speaking in tongues, but have not seen real physical manifestation of gifts like healing and miracles . What do I do to manifest spiritual gifts,not just feeling vibration all over my body. The gifts are given as you grow into being able to handle the responsibility.